Radionics is the subject of using electromechanical devices to amplify human abilities. Dowsing is a subset of radionics and has been practiced for hundreds of years using divining rods. Offerings in this area may include books or devices to help persons with their radionics practices. It must be noted that many of these devices have no proven scientific basis and some could be considered outright fraudulent investments. You can follow this link to get a free copy of the Hieronymous machine’s blueprints. This device was one of the early and best known radionics devices. Click on the below link to read the patent online. 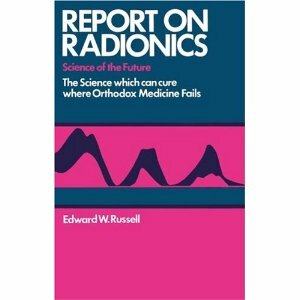 In this book, the author attempts to strip radionics of its mysteries, and offer a proper explanation of the science. First developed in the early 20th century, radionics focuses on energies and vibrations in order to treat various ailments. HAT IS THE SECRET ART? The history of radionics is the story of how various inventors designed devices that employ directed intent to affect the real world. With these tools, they promoted healing without pills or surgery, grew crops without fertilizer, restrained insect predation without pesticides, and performed a host of other seemingly impossible feats that defy mechanistic science. THE SECRET ART traces this astonishing process beginning with early art designs suggestive of radionic intent. For many prehistoric and indigenous peoples, art was also a means of interacting with Nature to enhance healing, increase crop yields, and enable visionary experiences. Coincidentally, radionic inventors discovered by trial and error that even drawings and bizarre technology could function radionically. This discovery followed a long process of design innovation that started with mechanical devices, proceeded through a generation of electronic instruments, and most recently has been applied to computer and software technology. 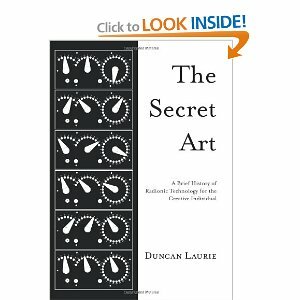 Conceivably, the theory and techniques outlined in this book could provide artists with a revolutionary approach to the creative process that is at once both new and timeless. A potential exists today for radionic ideas to empower creative individuals to develop skills in working with Nature that achieve profound real world results. 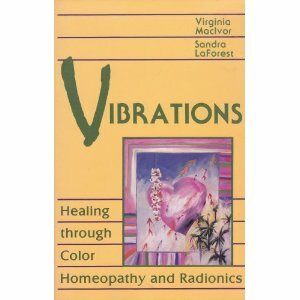 The secrets of color vibration healing. A practitioner's manual for restoring blocked energy to the body systems with specific color wave lengths. By the founder of The 49th Vibrational Technique.